Rose Ramos immigrated in the United States in February 2013 and was hired by Biddle as a Quality Control Associate for the EEO/AA Division in November. She is now the Team Lead of our Quality Control team. After passing the nerve-wracking citizenship interview, she is now officially an American citizen and is very excited to be able to vote in future U.S. elections. 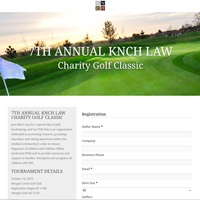 Biddle is extremely excited to partner with KNCH Law to support the 2015 KNCH Charity Golf Tournament. If you would like to find out more, or to support this charity, please visit www.pkskids.net.